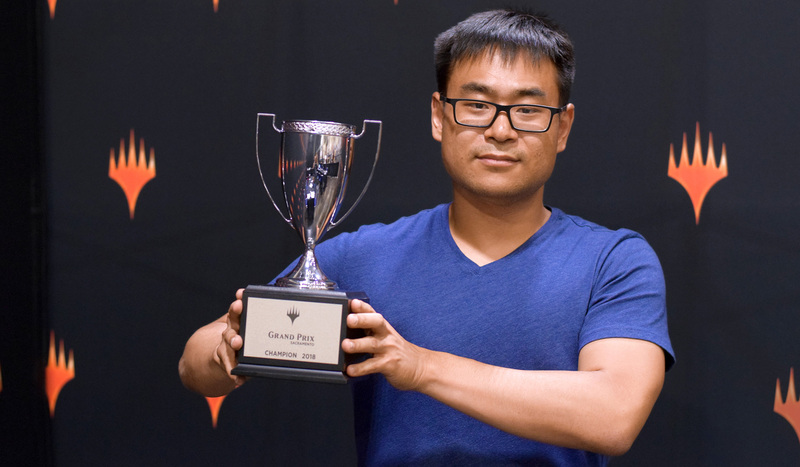 With his White-Black deck, Richard Liu smashed all opponents in his way en route to become the Grand Prix Sacramento 2018 champion! THE HASHTAG FOR GRAND PRIX SACRAMENTO IS #GPSAC. JOIN THE CONVERSATION. Richard Liu entered day 2 as the leader of the tournament. When it came to the top eight he dropped only a single game with his White-Black deck smashing all opponents in his way in route to become the Grand Prix Sacramento 2018 champion! Day one of GP Sacramento is in the books. We've seen the Core Set Magic 2019 sealed deck whittled down from the original 1253 players to 239 players vying for the trophy. Leading the pack at 9-0 are Hunter Cochran, Richard Liu, Max Mick, and Thiago Saporito. Come back tomorrow to twitch.tv/magic to watch the remaining players navigate their way through the Core Set Magic 2019 draft format, as we look towards our top 8 and crowning of a champion!